Accent chairs aren’t just places to sit— they give a room character. They complement the decor, provide a focal point, and add contrast by layering in color, pattern, and texture. 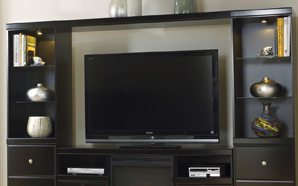 Sofas and loveseats are a significant investment and are too bulky to move around your home easily. For that reason, it makes sense to opt for neutral colors and diminutive patterns. Accent chairs have no such requirements. They shouldn’t match the other furnishings in the room. Go ahead, be bold, whimsical, or dramatic! Because they require far less of a commitment, these chairs are great to experiment with and even swap out from season to season. When it comes to choosing accent chairs, it’s important to think about where you want to place them in relation to the room’s primary furnishings, like the sofa. Knowing where you want to situate your chairs will allow you choose pieces that don’t compete with the more dominant furniture in the room or get lost in the room’s existing décor. For example, if you are searching for accent chairs to flank a cushy, overstuffed sofa, you might opt for a wingback chair, which is normally on the larger side. 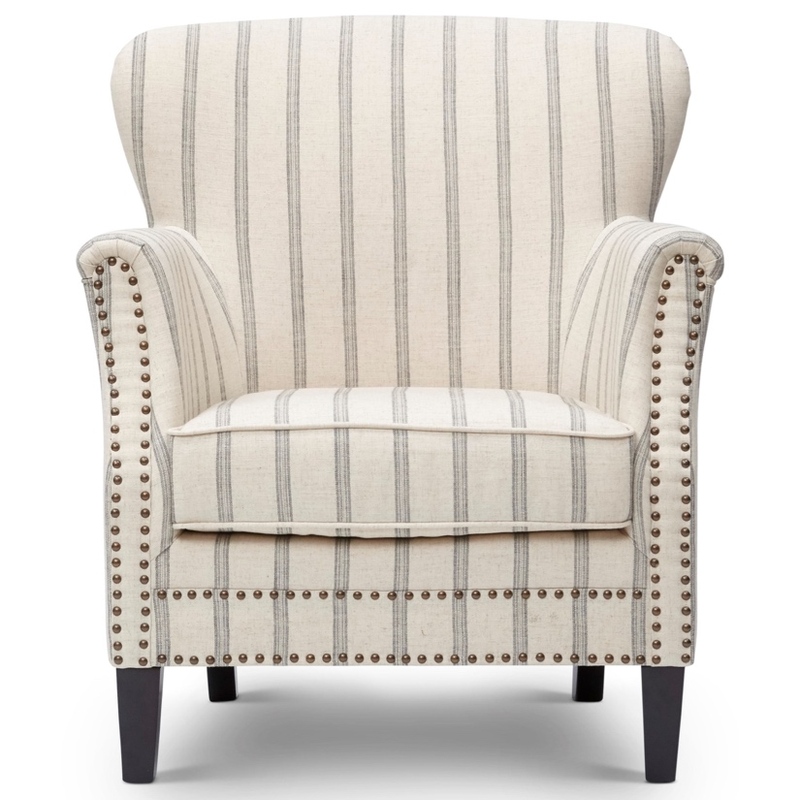 With its traditional wingback, rounded barrel back design, and cascading nail-head trim, this Accent Chairs Layla Accent Chair by Jofran, has enough size and presence to compliment a living room set without overpowering it. 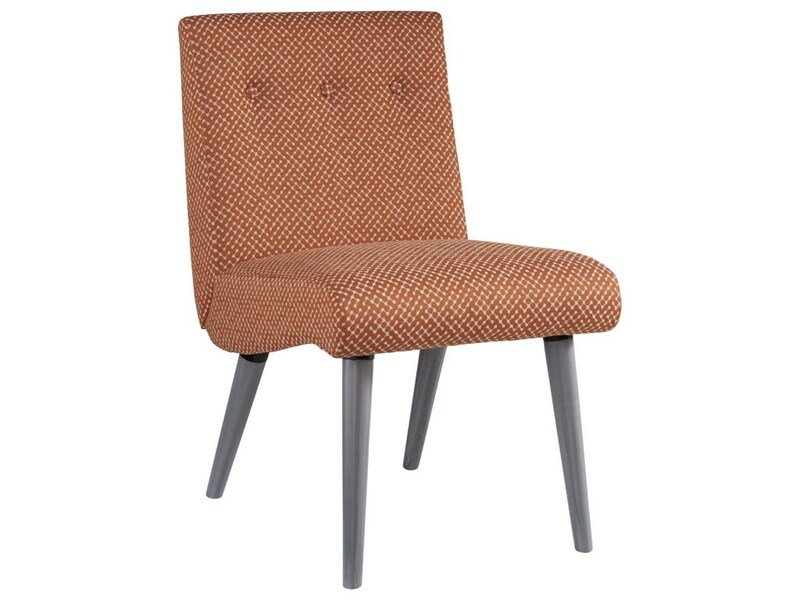 In a room with more streamlined furniture, this Zittan Mid-Century Modern Upholstered Accent Chair by Ashley balances a vibrant color with a leaner frame. When choosing the colors, you want to highlight in a particular room, remember the rule of three: In order to look intentional, the color should appear in three different spots within proximity to each other. Accent chairs are one option in displaying that color. Another thing to consider is arm style. In order to maintain unity in a particular room’s décor, opt for consistent arm styles when choosing your primary seating and accent chairs. For example, if your sofa and loveseat have rolled arms, choose an armchair with the same style. The same goes for sofas and accent chairs with arms that are squared off. 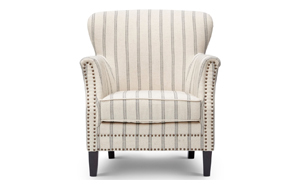 Club chairs are upholstered, roomy armchairs with extra-deep seats. Because they are often more petite and closer to the ground than other types of accent chairs, they look especially great in bedrooms, smaller living rooms, or rooms where you want to create a corner nook by situating them next to a small table. 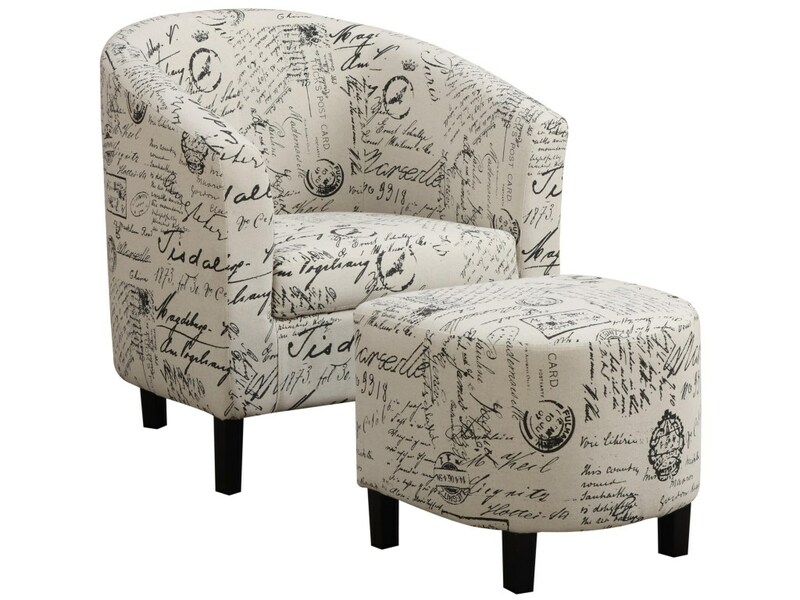 This Accent Seating Two-Piece Accent Chair and Ottoman Set in French Script Pattern by Coaster features a chic pattern as well as a hardwood frame, making it a comfy and classy addition to your living space. Side chairs have tall backs and no arms. Though the seat and the back may be upholstered, the entire frame is not. 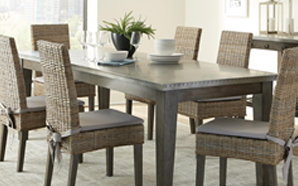 You will often see side chairs in the dining room next to a buffet or hanging out in a corner. 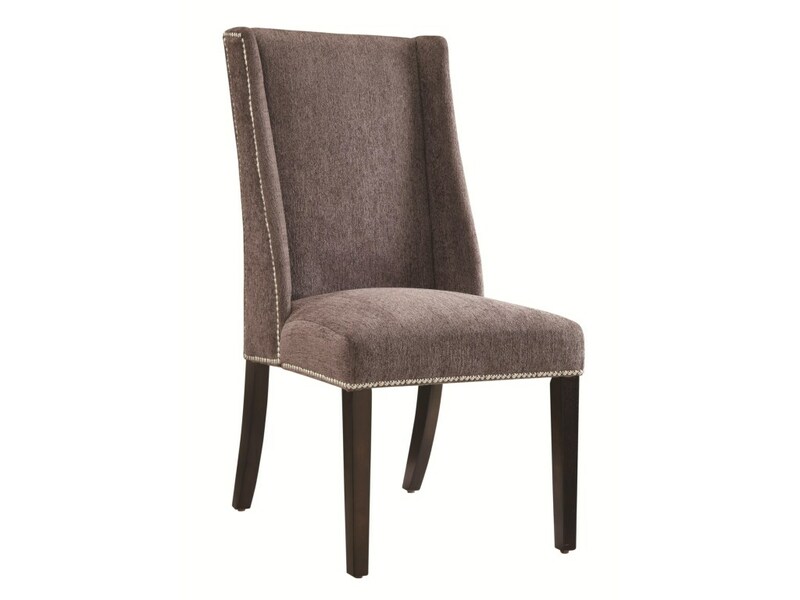 Since side chairs aren’t bulky they are the perfect chairs to keep at the ready for when you entertain and need additional seating around the dining room table. At the same time, these chairs can be posh enough to hold their own in the living room. The Accent Seating Chair with Wing Back Side by Coaster is dramatic enough to place in your living room and compact enough to sit in wait in the dining room.